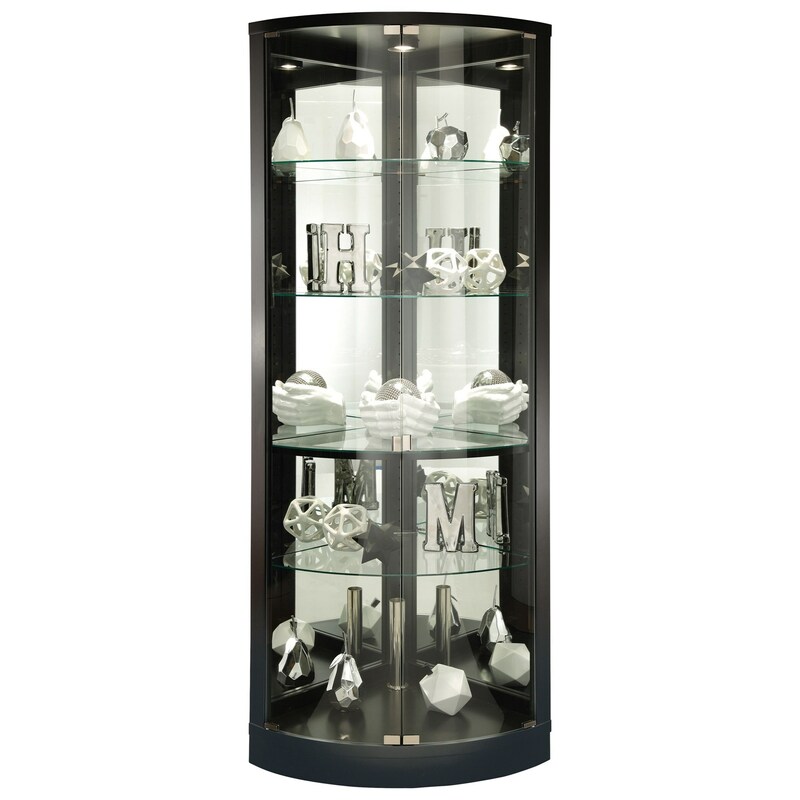 Create a stunning display to highlight decorative accents, collectibles, or fine china with this corner curio. The piece is designed to fit neatly into the corner, and features two touch release curved front doors. Four adjustable shelves let you create your perfect display, with a built-in light controlled by a No-Reach™ roller light switch to illuminate it all. A mirrored back provides an elegant touch, while a Black Satin finish keeps the look sleek and modern. The Curios Jaime Display Cabinet by Howard Miller at HomeWorld Furniture in the Hawaii, Oahu, Hilo, Kona, Maui area. Product availability may vary. Contact us for the most current availability on this product.